If it isn’t stifling cold it’s curtains of fog and slippery surfaces that cancel race programs. Winter isn’t even a month old and racing is suffering from its behavior across North America. How bad was it? Consider that Northfield Park cancelled a program, which is extremely rare for the home of the Flying Turns, where the races usually ensue in weather that would keep a mailman from working. With the exception, this week, of the west and the south in the U.S., a lot of horses were given an unexpected hiatus. Affected in the horses-to-watch list (H2W) were members of the list from Freehold and Flamboro. 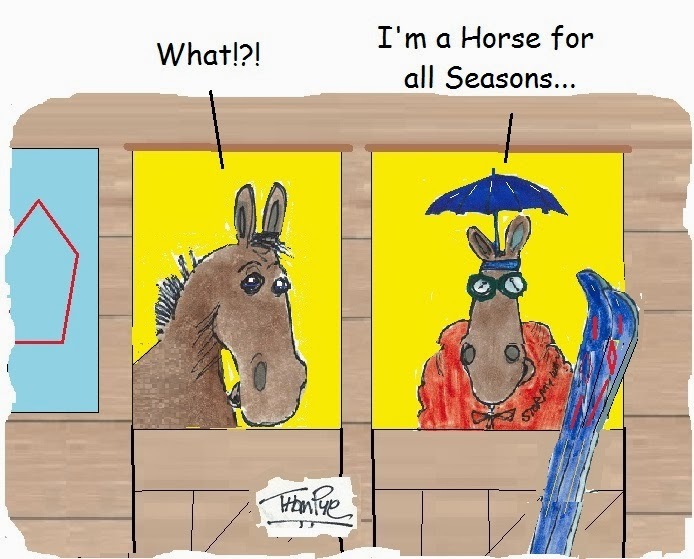 Jan. 13 updates on H2W horses and other racing are included. Our ventures into overnight plays this past week increased but offered only one winner, Big Unit ($4.90, $3.20, $2.80) at Yonkers. At the Meadows our first choice finished fifth at 7-1 and our second choice, Mattacardle, was second ($9.20, $3.40). In the Super Bowl Series at the Meadowlands, we had one second, CJ’s Jake ($3.60, $3) with our other three choices each finishing fourth. On Monday at Monticello, Hold Her Tight gave us a good race to three-quarters but finished out of the money at 19-1. Monticello Raceway adds Monday, Jan. 20 and Monday, Feb. 17 to its live racing schedule. The program on Jan. 20 is on Martin Luther King Day. However, the track presents the 14th annual Dr. Martin Luther King Jr. Pace, which feature drivers of African-American heritage, on Tuesday, Jan. 21. And on Presidents Day (Feb. 17) the raceway is currently in the process of securing a field of drivers whose last names are the same as any one of an American President. Northfield Park announced the creation of the $500,000 Carl Milstein Memorial. It will debut on Friday, Aug. 15. The race is an early-closer for three-year-old-colt-and-gelding pacers. Northfield will add $250,000 to the purse, for an estimated $400,000 final and a $100,000 consolation. The top eight purse earners in 2014 that enter will make up the field for the final, with the next eight drawing into the consolation. Carl Milstein owned and operated Northfield from 1984 until his death in 1999. Champion driver John Campbell talked with the Meadowlands’ Sam McKee recently. Campbell reveals some of the horses he is looking forward to driving in the 2014 season. To witness the interview, click here. Gilles Barrieau is once again Canada’s leading percentage driver. Campaigning in the Maritimes, Barrieau’s 2014 record documented 506 drives, 138 which he won, 96 which he finished second and 64 where he ended up third. Travis Cullen was Canada’s leading percentage trainer. The Alberta conditioner had 422 starts with 120 wins, 78 seconds and 59 shows. Cullen is only 21 and took the titles at Alberta Downs and Northlands Park.